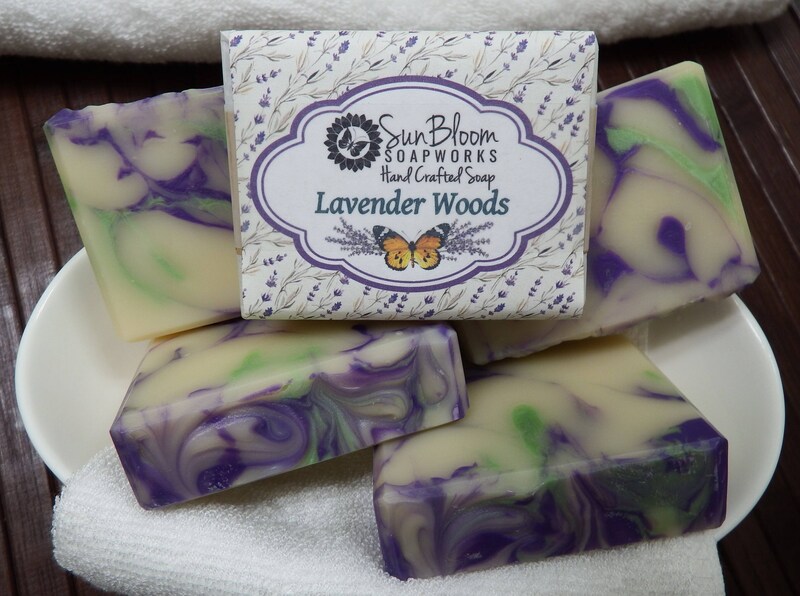 "Lavender Woods" is a relaxing soft lavender with woodsy, citrus and vanilla back notes. It's not a heavy or rustic lavender, but rather has a fresh and powdery scent. Bars weigh approximately 4.5oz each at packaging. *We only use palm oil that is responsibly sourced from sustainable farms and not deforestation. We proudly test our products on friends and family - NOT on animals. LOVELY! products and seller! Thank you! One of my favorite stores to purchase soap from! The soap are individually wrapped and they are of of high quality. I purchased a bigger than usual order since I will be giving these as gifts. I know my son's teachers will love these! The seller was also kind enough to throw in some gift bags (which she sells on her Etsy website)....and they are so beautiful! I do recommend this store because of the quality of the soap. The seller is also kind and accommodating with her customers.